The flexible version of the beloved notebooks, in color. 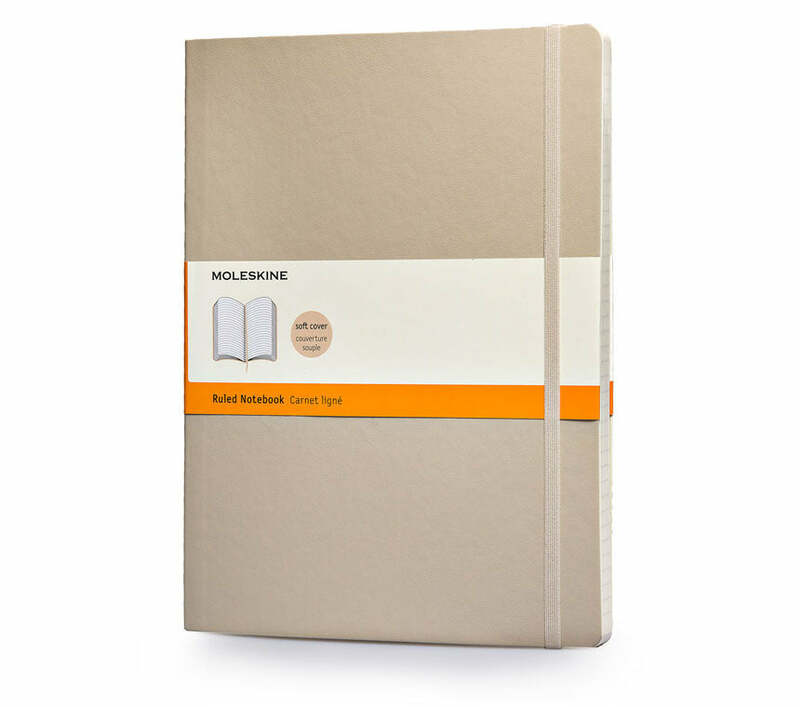 This version of the Soft Cover extra Large notebook is flexible and sturdy, making it the perfect travel companion. Thread bound with a soft cover with rounded corners, acid-free paper, bookmark ribbon, elastic closure and an expandable inner pocket that contains the Moleskine history inside.